Champagne, bags of bank notes and Adidas balls: these were amongst the gifts Macedonian Blagoje Vidinić received during his African odyssey in the early 1970s. This was a man who presided over the joint-worst World Cup performance of all time, but also a man who as a goalkeeper had once rivaled Lev Yashin in many eyes, who had played in Los Angeles, San Diego, St Louis in a pioneering era of American soccer; a man who as coach took two African countries to unprecedented heights – and managed to change the course of world sporting history, by tipping off Horst Dassler just in time for the Adidas head to back the right man in the 1974 FIFA presidential election. Let’s start in the middle. It’s the beginning of a new decade, the 1970s, and the beginning of a new career for Blagoje Vidinić. He has just retired from playing after ending his career in North American soccer, having kept goal most recently for the St Louis Stars in the North American Soccer League, where he was known as “Barney” Vidinic. The 1968 season, Vidinić’s last as a goalkeeper, was not particularly successful, as he conceded 35 goals in 23 games, St Louis finishing third of four teams in the Gulf division during the NASL’s first season. Vidinić had previously spent two years playing for two incarnations of the Toros in the NPSL, having been part of a Yugoslavian invasion of American soccer in 1967, with no fewer than 25 of his compatriots joining him across the Atlantic. That season was not a success for Vidinić, either, as his LA team finished rock bottom of the Western Division, with Vidinić conceding almost two goals per game, then going on to play a handful of games for the San Diego version of the Toros before his spell in St Louis. It was an inauspicious end to what had previously been an impressive career: in international play for what was then Yugoslavia, Vidinić had won a silver medal at the 1956 Olympic Games, a gold medal at the 1960 Olympic Games and had been part of the team that finished second at the 1960 European Championships. Facing the Soviet Union in the inaugural final of the latter competition, Vidinić uncharacteristically spilled a shot by Valentin Bubikin, allowing Slava Metreveli to equalise, with the Soviets going on to win in extra time. Exactly how, following his North American adventure, Vidinić next ended up coaching Morocco isn’t clear – though the connection may well have come via former Yugoslavian international Bob Kap (Božidar Kapušto), who had also moved to American soccer – in his case to coach – and had been part of the Dallas Tornado’s unlikely world tour in 1968 that included a trip to Morocco (Kap, incidentally, went on to play a crucial role in “soccer-style” kicking coming to the NFL). Regardless, Morocco’s recruitment of Vidinić would change his life. He took Morocco to the World Cup in 1970, held in Mexico, the first African nation to take part since Egypt in 1934. Morocco first faced West Germany, the 1966 finalists, and the Africans gave the Europeans an almighty scare, taking the lead into half-time thanks to a goal by Houmane Jarir – and not an entirely undeserved one at that, the Moroccans creating a good number of chances on the counter-attack (though West Germany did hit the bar twice, and missed a couple of fine chances to equalise before the break). In the second half, Uwe Seeler equalized and then Gerd Müller found a late winner, the game ending 2-1 to West Germany, but it had been a fine showing by Vidinić’s men. Morocco again looked well-drilled by Vidinić in their next game in the first half, holding a talented Peru team scoreless for 65 minutes, though a trio of goals quickly came to end Morocco’s hopes of advancing any further in the competition. Morocco did, at least, earn their first ever World Cup goal and point in their final game against Bulgaria, a 1-1 tie. Vidinić moved on to coach another African team, then known as Zaire (now DR Congo), in 1971. 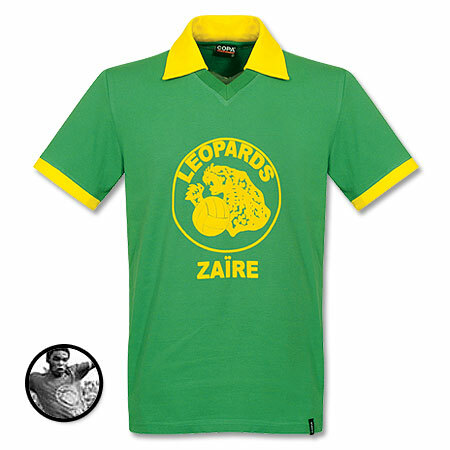 Zaire had only begun playing international soccer in 1963 (having gained independence from Belgium in 1960), and had never qualified for a World Cup, or come close to doing so. Indeed, no sub-Saharan team had ever qualified for the World Cup. Zaire did, however, have a talented team: Hungarian coach Ferenc Csandai had led them to their first international honor with victory in the 1968 Africa Cup of Nations. But the team had not performed well at the 1970 Africa Cup of Nations. They quickly improved under Vidinić by taking fourth place at the same competition in 1972, as he instilled confidence and a greater understanding of modern tactics. Vidinić led Zaire to qualification for the 1974 World Cup with victory over his former team, Morocco, sealing their place with a 3-0 win in Kinshasa in December 1973. In recognition of the achievement, the man whose money had brought him to Zaire gave Vidinić “a sack of banknotes”: Mobutu Sese Seko, Zaire’s authoritarian dictator. Vidinić was recruited just as “Mobutisme”, a crude personality cult, was being instilled in Zaire, and the national football team did not escape from it – in fact, the international exposure it gave the country made it a key tool for Mobutu. The team suddenly became known as the Leopards, Mobutu known for his leopardskin hat. In the lead-up to the World Cup, Vidinić oversaw Zaire’s victory at the March 1974 Africa Cup of Nations in Egypt, defeating Zambia in the final 2-0 in a replay. In West Germany for the World Cup in June 1974, the political pressure from home – with expectations raised and the presence of a phalanx of officials created an uncomfortable atmosphere for the team – was hardly helpful as they prepared to play in a group containing reigning World Cup champions Brazil, and fancied teams from Yugoslavia and Scotland. Vidinić’s team first faced Scotland at Westfalenstadion in Dortmund on 14 June, with the Scottish entering the game with expectations of winning by a double digit margin against the unknown Africans – skip to 5:49 in the video below. While the Scots lined up nervously, Zaire looked dandy in their Adidas three-striped warm-up tops. Zaire unsettled Scotland early in the game, Vidinić chain-smoking on the sideline as his team stroked the ball around. The breakthrough came, to considerable Scottish relief, in the 26th minute, a free kick leading to a header by Joe Jordan – marked weakly by Mwanza Nel Mukombo – landing perfectly on the foot of Peter Lorimer, the Scottish striker lashing in a volley from 15 yards out. The second goal came after an awful defensive lapse by Zaire only eight minutes later, as Joe Jordan ran in on goal completely unmarked from a free kick and headed straight at goalkeeper Kazadi Muamba, who could only fumble it ineptly over the line. Zaire, though, held on for the remainder of the game, a 2-0 defeat disheartening but not devastating. Devastation would come in their next game against Yugoslavia on the 18th of June, with a 9-0 defeat. Yes: Nine, Zero. As well as the humiliation of conceding nine goals, Zaire suffering the joint worst defeat in the history of the World Cup, there came with it a seemingly inexplicable minute of madness (hit 20:38 on the video above). In a bizarre move, Vidinić replaced Kazadi Muamba in goal with Tubilandu Ndimbi after Yugoslavia’s third goal, even though the goalkeeper himself had done little wrong in the game. Ndimbi conceded a goal within seconds of arriving on the field from a free kick, Vidinić having curiously sent him on as Yugoslavia took their kick adjacent to Zaire’s penalty area, and in the chaos that followed with Zaire’s complaints about a supposed missed offside call, Ndaye Mulamba received a red card. The game continued with Zaire down to ten men and at 5’4”, Ndimbi provided an even weaker target for Yugoslavia’s shooting practice. Vidinić’s compatriots scored with almost comic ease, a very valuable result as their qualification to the next round would likely hinge on holding a healthy goal difference. The Yugoslavian connection immediately raised questions about Vidinić’s decision-making. Why had he removed Muamba? Vidinić provided a plausible answer that should remove concerns about his supposed collusion with his countrymen the next day. Vidinić explained that a Ministry of Sport official had ordered the goalkeeping substitution, and promised to never again accept such an order. The explanation’s veracity, one supposes, is proven by the fact that Vidinić remained in charge for the remainder of the tournament. Meanwhile, in the background to the 9-0 defeat, an expensive billboard displayed a message paid for by Mobuto, with a word little associated with his country during the years of bloodshed he had overseen: Zaire-Peace. There would be no peace for the Zaire players following this result, though, and this would have even more memorable consequences. Mobutu did not enjoy his country’s humiliation on the world stage in front of his billboard. The message was soon conveyed to the army of his officials in West Germany with the team, who had been busy greedily creaming off many of the gifts promised for the players – Vidinić already having had to quell one mutiny as a result. Now, it was not gifts that Mubutu’s henchmen offered, but bald threats. Facing defending World Cup champions Brazil in their final game, Zaire were not to lose by more than three goals, they were ominously told. They would, at best, not be allowed home should that happen. 3-0 down to Brazil with just a few minutes remaining, panic and protest at the horrible situation the dictator had placed them in manifested itself as Brazil lined up a free-kick 25 yards out. What followed is one of the most laughed-at moments in World Cup history, guaranteed to show up in the next blooper reel you see. Zaire kept the score down to 3-0 and were able to return home, but most of them faced futures far less grand than Mobutu had promised them before their departure to West Germany. Vidinić, meanwhile, had been busy repaying his debt to Horst Dassler, with some interest. On 11 June 1974, two days before the World Cup began, the FIFA Congress held in Frankfurt elected Dr. João Havelange of Brazil as the first non-European president of FIFA. It was the first time two men had stood for the FIFA presidency, and Havelange’s defeat of incumbent Englishman Sir Stanley Rous dramatically altered the course of the sport’s history. It was a result that, if it hadn’t been for Vidinić, would have surprised Horst Dassler, who until the day before the election had been backing his old ally Rous, thinking his victory was inevitable, still chagrined that Havelange had previously refused an approach from Adidas to outfit the entirety of Brazilian national sport. Dassler, though, had underestimated the deservedly bitter feelings towards Rous in Africa, and was perhaps unaware of just how successful Havelange’s “little gifts” had been in wooing African votes. The night before the election, Vidinić and Dassler met, and the Zaire coach told Dassler all the African federations had met and agreed to back Havelange. Dassler was backing the wrong horse, an unappetising prospect for Adidas. Dassler took his advice, met Havelange, and came back with champagne for Vidinić. In fact, according to Andrew Jennings,Vidinić had good reason to be so sure of Havelange’s impending victory based on African votes: “Vidinic was in Frankfurt in 1974 paying cash for votes to elect Joao Havelange President of FIFA,” Jennings writes. Following Havelange’s victory the next day, Dassler and sports marketing whizkid Patrick McNally quickly met the new FIFA president for dinner, and the multinational transformation of the World Cup was roadmapped for the first time. By that point, Vidinić was working directly for Adidas in Strasbourg with frequent trips back to North America, his final coaching spell with Colombia in the 1970s having come to nothing, and he would stay involved with Adidas until his death in 2006. Vidinić had moved from enmeshment in one murky world to another during his globe-trotting career, curiously changing the course of sporting history in the process. Morocco again looked well-drilled by Vidinić in their next game, holding a talented Peru team scoreless for 65 minutes, though a trio of goals quickly coming to end Morocco’s hopes of advancing any further in the competition. They did, at least, earn their first ever World Cup goal and point in their final game against Bulgaria, a 1-1 tie.